We want to continue to share the progress in our new Sewing Lab at Coats & Clark. So far we have added a few accessories and now we are trying to get organized. ” A place for everything and everything in its place” is our goal, so we decided to add labels as reminders of where things go and where they should be returned to! We asked Rebecca Kemp Brent to digitize the font that is being used for our new website MakeItCoats.com. (We hope you have checked it out!) Rebecca then embroidered labels using the “make it” theme– Sew It, Cut It, Press It, Quilt It, etc. She wanted to embroider “Stuff It” for the batting and fiberfill, but we nixed that! 2. Cut one sheet of Phoomph into quarters, 4 1/2″ x 6″. Cut each quarter in half- 2 1/4″ x 3″. Remove the paper backing from one side of each piece and adhere to the wrong side of a rectangle of fabric slightly larger than the phoomph. Trim the fabric to the same size as the piece of Phoomph using a rotary cutter for best results. 3. From the second sheet of Phoomph, cut eight 2″ x 3 1/2″ rectangles. 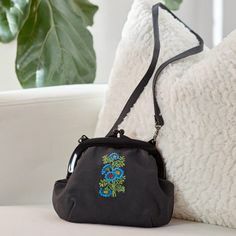 Place the embroidered fabric embroidered side down on a flat surface. Remove the backing one side of the phoomph, center it over the embroidery and stick it to the embroidery. Trim the embroidery to the same size as the Phoomph rectangle using a rotary cutter for the best results. 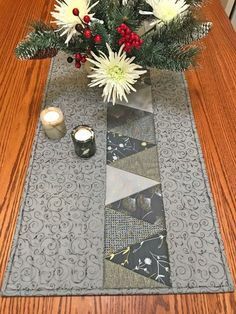 Hint: When trimming the fabric, cutting away a thin sliver of the Phoomph at the same time will result in a smoother edge that will not ravel. 4. 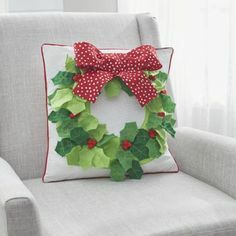 Remove the backing from the embroidered fabric, center the embroidery on the fabric covered Phoomph and stick it to the fabric. 5. To mount the label, remove the backing from the Phoomph on the back of the fabric and adhere to any surface. We are thrilled with the results! Choose a font optimized for small letters. In general, the best fonts are simple, without serifs and decoration. Always stitch a sample or two to test the sewing attributes of the embroidered letters. Lowering the needle thread tension can help prevent pulling the bobbin thread to the embroidery right side. Lower the stitch density; in other words, adjust the design so there are fewer stitches per inch. Choose a fine thread; machine embroidery threads usually work well for lettering, but Dual Duty XP Fine can also be a good choice. Use a cut-away stabilizer under the embroidery, especially if the fabric is a knit or textured weave. 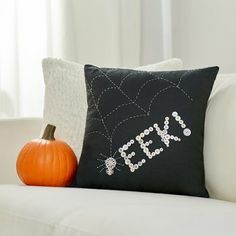 Add a water-soluble topper over the fabric to keep the small letters from sinking into the fabric. Our friends at Dritz sent us a generous care package of items for our Sewing lab for marking, pinning, pressing and more. They were also kind enough to send a basket of goodies for us to offer you. To win this basket, comment here and tell us your go-to sewing accessory or notion. Love the new website! Thanks for this great project. My favourite ‘go to’ is my blade sharpener. My favorite “go to” is my snips. I have several pair so I always have a pair close by. My favorite “go to” tool has to be my Rotary Cutter. I use it to cut fabric, trim blocks , even cut threads on chain stitching. It’s a tool that has made a world of difference in my sewing and quilting. Not my favorite, but as a beginner I’d say my most used is my seam ripper. Carmen Don’t get discouraged because you have to use the seam ripper at lot. I have been sewing for over 50 years : do wedding dresses and formal gowns and the seam ripper is still one of my favorite. We started out using razor blades ( lots of cuts and band aids with them). My first thought was my seam ripper too! I have been sewing forever and at first I usually used it for mistakes, then it turned into an everything tool. Best thing ever invented and first thing I grab when I buy clothes to rip out those scratchy tags! I can’t live without my air soluble fabric marker! I love my rotary cutter and my seam ripper. Wouldn’t want to be without either of them. My go to notion would have to be my measuring tape. I have one of those great retractable ones that fit in you pocket, and it goes with me, almost all the time! this idea is great!!! i need make this in my craftroom!! tks for all!!!!!!! and i love the products!! coats & clark are the best and the dritz products are the beast company!!!! Can’t wait to try phoomph! I know once I try it, there will be many fun was to use it. My favorite sewing notion are my long glass head pins. My go to accessory is very sharp scissors, trying to cut anything with less than sharp is so frustrating! I’m somewhat still a beginner to sewing so would love to have a chance to win this gift package. All stuff I need and will use! I must own at least 12 of the six inch seam gauges. I have them all over the house in my various project bags for knitting sewing and crocheting. I would say that my embroidery scissors and my seam ripper are probably my best go-to notions. I use my seam ripper to rip out hems and seams as well as to clean the brushes of my robot vacuum cleaner. It is my handiest and most versatile sewing tool. Rotary Cutter and Fabric Pen. In all honesty tho, it’s the seam ripper. I consider the rotary cutter to be one of the most wonderful inventions of the last century. I use it constantly in my quiltmaking. Love the sewing machine cover! My go-to notion has to be the six inch sewing gauge with sliding marker. . I use it for everything from the smallest thread crochet, to quilting a king-size cover. I hem with it, pin with it and narrow press with it! It has to be my supply of Coats Thread, I have drawers of it in just about every color I need. Of course when there is thread there must be a seam ripper sometimes that 1/4″ seems to move a bit. I have two go-to items, and one may be a surprise to many. My Silhouette Cameo is cutting out the patterns and fabric for small projects that I design in the Studio software. Being able to design and let the machine do the cutting is a huge help for my arthritic hands. Not that I’d ever give up my Gingher scissors!My other go-to items are my long-used pattern weights made with rubber chair or cane tips, weighted with pennies, and sealed shut with heavy card stock, with felt on their bottoms. My go to tool is my seam ripper. I have a degree in unsewing…..
My go to notion is my seam ripper! It seems I’m always sewing a little faster than I’m thinking! I splurged at a half off sale and bought an erogonomic one, and it really helps! I’m new at using the rotary cutter but I am a big fan so far. Great idea. My favorite sewing notion is the Jean-a-ma jig – great for sewing over thick seams. My go to accessory is my rotary cutter. Love my seam ripper…need it a lot sometimes! I’m embarrassed to admit it, but I’d surely be lost without my seam ripper. My favorite go to notion is: wash away wonder tape. I use it anytime that I need a good and neat 1/4″ seam. I have used it on hems, curtains, table runners, and other items. I am 70 years old and it Is never too old to sew. I am taking my first custom fitting/sewing class and I would love to win the Dritz sewing supplies. Thank you. My go to item would be straight pins. I used them so many things, not just for sewing. Love them. My go to sewing notions are the Clover needle threader and the Thread Heaven…these are lifesavers when I hand applique. My go-to notion would be my seam ripper. I really need a good thread nipper, though. My daughter swears by them, and I only use a small pair of scissors which can be awkward. I always have handy the seam ripper. It is so sharp and always gets those little tiny stitches that can start my seam ripping out. I need my thread snipping scissors by machine! The iron is the most necessary item in my tools. I couldn’t sew without it. The sewing accessory I can’t do without are my thread snipping scissors – they are so practical! My “go to” accessory are my flower head pins. They are very easy to get ahold of and use. I love the rotary cutter, and seam ripper. They both make sewing so much easier. I just bought a new sewing/embroidery/quilting machine, and learning how to put pieces together. My grandmother always used Coats & Clark thread and that is what I am doing. It has always been the best and dependable thread she said. So, you can’t go wrong with what all the other generations have used. Granny knows best! Thank you Coats & Clark for your wonderful product as well as tutorials. Barbara, what brand of machine did you purchase and do you like so far? I’m looking to purchase one myself. 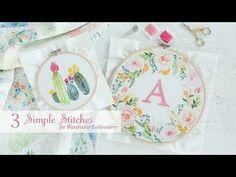 I just love this idea to make labels & it even gave me more ideas to decorate the labels using my embroidery machine to give it a even more punch. Thanks for the idea so I can get rid of the old plain paper labels. Love this. I think my go to sewing accessory is my left-handed scissors. I couldn’t sew without them. I love all my sewing notions about the same. I cannot sew or embroider with out so many items. Many of which are items that need replacing. But probably my favorite are my very sharp sewing shears. I could not do anything at all without my cutting utensils…shears, rotary’s and snippers. They all really earn their keep around here. It is hard to mention just one item since I sew/quilt/machine embroider most every day. I guess the one tool I use quite often is the flat 6″ measuring ruler with the slide. It is so handy in all the different types of sewing. I love this label idea. I had never thought of embroidering labels. It makes the area look so neat and well put together. Thanks for sharing!! I have a little pair of super sharp scissor I can’t live without. I don’t think I could live without my rotary cutter. One of my favorite sewing notions is my hem gauge. It’s metal so I can fold fabric over it, and iron it to the right depth easily. I love my rotoray cutter and can not imagine working with out it now that it is such a big part of my sewing. I can’t imagine a project more fun than creating a sewing lab! I enjoyed reading about it. My go-to notion is a tie between my rotary cutter and my seam ripper. Thanks for the fun! I have several but I love a good seam ripper, my ham is essential, sharp pins, tape measure, pin cushion, a radio of course. Rotary cutter and self healing mat. 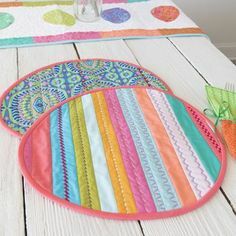 I couldn’t do without my rotary cutter but have also found the ThimblePads something I really couldn’t do without, I can’t use a thimble so these pads are fabulous…love them! My most used tools are my rotary cutter and seam ripper. I’m always wondering about notions that I see and how I would use them, but I don’t often buy any of them. What a lovely sewing room & giveaway! My go to notion is definitely my seam ripper. When I sew I have to have my steam iron! I use your products on a daily basis….too many to count!! Phoomph will be included in my next project. I make over 50 quilts a year for Julie’s Mission and I could not live without my rotary cutter. The quilts are used to top incubators in hospital neonatal intensive care units. ime when sewing I have lots of pre-wound bobbins. I keep them near my machine in a clear bobbin box, which I love. My go-to is my seam ripper – it seems to get a daily workout! My go to sewing notion is my rotary cutter. My rotary cutter is my go to accessory. The sewing lab is moving right along and looks great! Thanks for the giveaway. Fun idea for organizing. My go-to sewing item is still my tape measure. I’ve been sewing for about 50 years, starting with a tape measure, and still use it frequently. My rotary cutter and seam ripper. My go-to sewing notion right now is Wonder Tape. I’m using it in so many places instead of pins. Great for holding zips in place, keeps them flatter than pins. Great for keeping layers together where its too thick for my pins. Doesn’t gum the needle. It has so many uses. Thanks for the giveaway. The new sewing room is looking so lovely. I am crazy about scissors and needles, especially for EPP and cross stitching. Love all the iron products to make my hobby easier. I have a small pair of snips next to my sewing machine that I use most often. I have a love/hate relationship with my seam ripper. I can’t live without it. My go to is my disappearing ink pen. I use it whenever I sew! A super sharp pair of shears and multi-purpose SHARP pins and needles, followed by good quality thread. Thanks for this website and for this opportunity.E. I love the tracing paper. Not only do I use it for sewing, but also for art projects as well. I like a bait box for small buttons and other items. one of my go to tools is my purple Thang tool… for holding the short last bit of fabric being stitched, for passing under the needle at the start of sewing to move the thread to the back, plus it has a 1/4″ end. I’d love to win the tools and notions giveaway! Seam ripper… Haha I do make mistakes, so I am happy to have seam ripper! It’s good to know that I have a second chance to be able to fix the seam. Cannot live without a seam gauge. Where would quilters be without this handy item. My absolutely favorite notion is aturner which turns straps etc. inside out. Can’t live without it.! I love my fine glass head pins and no quilter should be without a rotary cutter with a new blade. My absolute necessary “notion” is my Ott lights – of I should say are my Ott lights. I have an eye disorder that makes it difficult for me to see without LOTS of light & these lights let me sew & craft as much as I want. I have bookcases in my sewing room-not just for all of my sewing books, of which I have a lot, but also for materials and for yarns. Keeps them handy and visible. As a beginner, my seam ripper of course! Great ideas & fabulous giveaway. I do so need a new tailor’s ham & seam roll! Some of my favorite sewing tools are repurposed items from around the house. Chopsticks, for example, are great at turning corners and tubes. I REALLY ENJOY YOUR WEBSITE & THE LATEST IDEAS FOR ORGANIZATION LABELLING! KEEP UP THE GREAT (CREATIVE) WORK! Well, I guess I would be nowhere without a needle and thread. I am fairly beginner, so really not knowledgeable about the best stuff for different things. There are two go-to items that I deem essential when working any sewing project: a trusty ruler and my iron. Accurate measurements ensures a perfect end-product; the iron gives a professional appearance to any item. 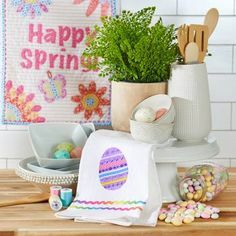 Would love to have the wonderful basket of sewing goodies! I love to sew and getting organized is my dream. I have a roll up travel case that when you unroll it, there are 3 smaller zippered bags attached with velcro. These smaller bags are great for keeping my quilting supplies organized and ready to go when I am. I Love the little plastic clips, great for binding and you don’t get picked! Those yellow headed quilting pins are one of my favorite tools. I don’t even use “regular” pins anymore. They are easy to grab, sharp, easy to maneuver and useable in sewing, blocking, cake decorating, sculpting, and quilting among many others. I love my seam ripper. It seems to be the notion I use the most! My favorite is my seam ripper. It seems to be the one I use the most! My seam ripper is my favorite notion. It seems to be the one I use the most! My thimble is my go to notion for all my hand sewing. You are our winner!! You will receive an email shortly with more information. Rotary cutter and mat is essential! I have a small tin I carry with me in the car when we are on a short/long trip. I have all the necessary tools to sew a binding, hand applique, etc. Pins, needles, scissor, thread, band aids, etc. My go is my pins. You can never have enough pins. I love these labels! And they make the boxes so pretty. Oops! I forgot to say that I use a thread cutter a lot when I’m chain sewing to clip the threads in between the pieces. I LOVE that bobbin box. I have one but need another. It keeps the bobbin all tidy so you don’t have stray threads flying every which direction, and the bobbins are right at your fingertips when you need them. Excellent! My Dot Young seam guide – couldn’t get my scant 1/4″ seam without it. Thanks. I can’t sew without quality scissors, pins and of course my seam ripper. My favorite go to sewing notion would have to be my Gingher 3 1/2 inch embroidery scissors! I will not let anyone else in the family touch them and store them in their original box until I need them again! My sister Nan, also a quilter, gave me an awesome hand-turned stiletto she got at a craft show, made out of cherry wood. Good for poking corners and keeping my fingers away from the needle. Thanks for the give away! I love my rotary cutter-I use it all the time. My favorite notion is my Purple Thang! I use it all the time. My seam ripper would probably be second! And I have a new page to add to my Favorites! Thanks! I love my rotary cutter and could not sew without it! It makes cutting everything from quilt pieces to clothing and everything else much easier. I think it is one of the best “inventions” to aid sewers. Even my husband has used my “nicked” and dull blades for cutting things in his shop! My favorite go to tool is my rotary cutter. I don’t know how we ever lived without it. My go-to notion is my Hera marker. Thanks for the chance to win! I cannot sew without my blue painter’s tape. I really love my rotary cutter. I use it everyday to cut just about everything in my sewing room. Ribbons, threads, fabric etc. Love, love, love it. I am happy to say that even my husband uses the rotary cutter I bought for him. He works with leather and he really like his also. Thanks for the chance to win. My most needed “notion” came as part of my sewing machine…walking foot. I ALWAYS have even seams. Along with that are my tiny scissors which I use to rip seams. Thank you. My go to is my rotary cutter! My favorite tool is my rotary cutter. Dont know how I would be able to do any sewing without it. My little curved scissors, you can trim close to applique and trim threads close. My favorite go to tool is the seam ripper! I love my seam gauge. I use it every time I am at my sewing machine. Thanks! I couldn’t live without my dritz disappearing ink marking pen. I only recently starting using it.. and love it. I’d be lost without it. I can’t wait to try oomph, new to me so I have an adventure waiting for me. The tool I love most is my rotary cutter, it has made quilting fun…. My go-to notion is a small pair of sharp scissors, sliding gauge and the clips that hold better then pins in some cases. and since I am notion crazy I have my tackle box next to me with other notions I might need. My favorite “go-to” is my scissors, I have 2 pair that no one is allowed to use, I only use them for sewing. My thread snips are my “go to” tool. I have multiple pairs, one for each work station. My mother’s thimble is my go to notion! I love my Dritz Ezy-Hem template. I recently had to buy a new one because after years of use the numbers were fading on the old one. My rotary cutter for sure! Define tell my thread snips! I still use the ruler with slide that I started with when I was 10 years old. Hardly a day goees by that it is not out and being used in my sewing room. Alittle worn after all these 50 years, but still going strong, I couldn’t sew without it. I love the new Phoomph. Great product!!!! Such a great idea, will have to give this new item a try for sure. I think that my go to notion would be my rotary cutter, it is revolutionary to cutting and time saving! scissors! every end table has a pair as you never know when you will have a minute to sit and stitch! I need my seam ripper. What a great tool…(that’s not such a great sign of my sewing skills, I guess). I got serrated scissors for Christmas, small size, and I think they may be my go to gadget . My rotary cutter! Best thing since scissors, lol! I love my handy snips which are always the first tool out of the box but my rotary cutter comes in a close second! My seam ripper of course! that and a good pair or two of scissors and I’m all set! Definitely my rotary cutter, and the seam ripper. Both accomplish the same task, and are used almost equally by me. I have quilting rulers in every size plus my rotary cutter. I use them for all sewing projects at one time or another. My seam ripper and my Frixion pens for marking. I’d be lost without my folding scissors. i would say my favorite go to notion is my seam ripper then would be my rotary cutter. Four things I can’t sew without are ripper, small curved scissors , stiletto,and a very sharp, small tweezers. With these things, I can do anything quilts! I always keep my seam gauge & seam ripper close. Great tools! Aside from description listed on the web site, I use it to get those pesky threads out of the way! Sometimes they just like to be in the stitching line instead of to the side. Love my offset sissors n point turner!! The ever popular seam ripper!! My Purple Thang! It’s my most go to tool! Then my snipping scissors and my ripper! Love my offset sisscors n point turner n of course…the seam ripper!! Has to be my seam ripper! Hate to admit, but my go to sewing tool is my seam ripper. Can’t sew without it. My favorite tool is my rotary cutter. I cant sew without my seam gauge, marking corners and double checking seam allowances ! The rotory cutter and a good needle for handsewing! Thanks for the chance! There is so many I use, but hand sewing needles. I love to hand sew. I find myself using felt covered binder clips instead of pins, especially for large projects. My favorite is my gingher nippers. I love my rotory cutter. I am just starting to sew again after many years, so I am constantly impressed by all the new gadgets. I have to say I still need to use the seam ripper way too much. My go-to right now is a seam ripper, mostly because I’m a beginner who can’t sew a straight line! Definitely a good, sharp pair of scissors. Other notions are useful but not as necessary! I have to say, coming from the era of coffee can lid patterns and scissors, my favorite tools are my rotary cutter and my rulers! Thanks! My go to notion: my rotary cutter! Hard to narrow it down to one item, but I’ll say my iron! Seam ripper, get’s the most use of all my tools. My go-to sewing accessory is definitely my rotary cutter! My favourite go to notion is the 6 inch metal ruler. I still have my original one from my school days and 4 others. They are always within reach for sewing and quilting. With all the mistakes I make, it would be my seam ripper! I love my thread snipping scissors and of course rely on my seam ripper! Rotary cutter, iron, seam ripper, and thread snips! I like sewing small projects. The Tailor’s Ham makes a big difference when it comes to pressing. I’ve been sewing for for about 75 years … began in home ec class years ago. My favorite item is no doubt the thread cutter on my machine. There are many others, but this one stands out. Of course the iron is a must. My tiny little very sharp scissors. I have to go with my rotary cutter. Makes accurate cutting so easy! I guess my scissors in the first thing I grab when I sit down to sew. That and my pin cushion. My latest favorite accessory is my rotary circle cutter! Have been exploring yoyo projects! It’s a toss-up among my pointy-ended embroidery scissors, my handy little 6-inch ruler, and my iron. All so crucial for a great garment! 1st time checking out this site by coats and Clark and love it. Not my go to notion but a cant do with out is a bodkin. No more safety pins to come undone when running something thru a casing. My seam ripper!!! It is such a useful and necessary tool. I cannot live without it! My favorite thing would have to be my Granny’s pincushion, and unfortunately, my seam ripper! My go to accessory is my rotary cutter, I couldn’t imagine trying to cut my fabric without it. My favorite is my Bernina 1230! Love it! Have had it since 1991!!! I am just starting to work on my new craft room and this would be a good start to new supplies! Right now my fav go-to is my good shears. Can’t do much without em’. I think my greatest notion is graph paper. I usually design my own quilts, so the first thing is to draw my pattern on graph paper then keep tweaking it until I get just what I want. Sometimes it gets drawn several times before it is how I want it, then I have to figure out how many of each color and if it will be plain or printed but the main thing is using the graph paper, a ruler, and a pen or pencil. My favorite is my seam ripper. I am a beginner and hope to soon find another favorite. I don’t know how I sewed and cut without my rotary cutters!! They save so much time. My other gottohaveitbythemachine is my tiny little poking tool? (can’t for the life of me remember what it is called), that I can put of the fabric for those last few stitches. It is also good for pushing corners out. 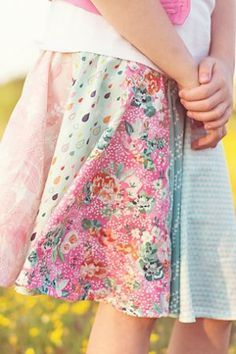 I have been sewing for over 50 years and still love it. Definitely a seam ripper. Can’t seem to get thru even one project without it! Probably my little tv tray that I turned into a mini ironing board! I can sit at my machine and sew and turn to my left and press whatever I just stitched together! My go-to sewing item is my 26 inche clear plastic cutting guide/measuring thingy. The rotary cutter just glides along the side of it so nicely! My go to is a small very pointy pair of scissors,used to cut stitches when I alter for my son in law, they need extreme alterations. Thanks for the Great Ideas! 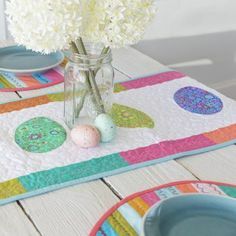 My current favs are my measuring tape and knitting needle….I’m remodeling/redecorating my whole house so pillows and table runners rule right now! My scissors no matter what I have at least 3 pairs of scissors with me. It can be sewing or other crafts I need my scissors. My favorite and most used notions/accessories are my hem gauge and seam ripper. My straight pins are my go to. I pin everything. Kids are leaving and I’m going to have a new sewing room!! Great Ideas. My go to are a pair of sharp scissors and a razor blade. It’s faster to take out hems and doesnt break like a seam ripper. Hmmm…I guess it would be my sewing gauge for quick measurements! I would not be without my rubber thimble! Makes pulling a needle so much easier. I laugh at the seam ripper so many go to. That will be used less and less as you sew more and more! I have been sewing everything from toys to clothes for 60 years. Hands down, my go-to sewing accessories are a 6-inch metal slide ruler and a steam iron. Accuracy and a professional touch are essential for any sewing project, and these two items always ensure the best results. I love my 2 rotary cutting mats. Useful, smooth, & flat work surface for many things. I love my 2 metal rulers, 2″ & 1 1/4″, I use them for everything, not just hems. I cannot live without my rotary cutter and quilt rulers. My kids got me an amazing seam ripper for Christmas. It has both a light and magnifying glass on it. My favorite go to notion is my seam ripper. I have several of them so I can quickly find on when I need to correct a boo boo. During my recent sewing 101 class, I was introduced to the rotary cutter… AWESOME tool! My newest accessory is my new sewing machine, which also can do embroidery!! Gotta love it!! magnetic pin cushion, sharp snippy scissors, seam ripper and a good iron!! Looks like it will be a colorful and well labeled work space. I have been actively going through my fabric stash sewing machines and tools, scrap booking paper and tools.nursing files, cross stitching, needlework, beading supplies and reorganizing and cleaning. It been a long time coming. I would love a ham and snippers as I have heard we shouldn’t be without them. I am glad Coats hads always had dependable thread. I would love to win this and will put it to good use. Thank you for the opportunity to win. 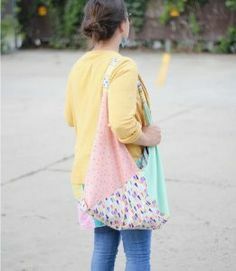 Great Ideas for a summer do over project. My favorite go to gadget is my 6″ seam gauge. It has saved me many an hour measuring . My 1 thing I use the most is my hand needles. Because I think it isn’t hand made if you use a machine. I make doll clothes for my 2 grand-daughters. There dresses are all hand made. I’m a beginner and my most used gadget is my seam allowance ruler and cloth pen. Great idea. My scissors and measuring tape for me. My favorite notion, don’t laugh, is my needle threader. My eyes no longer work as well as they once did> My needle threader is my sewing buddy! The labels are not only practical but very pretty and make the sewing area look inviting. I have fallen in love the the Alphabitties by Lori Holt. They’re little squares that I use after I cut my pieces, I can put these little labels on top of the stacks with A, B, C or 1, 2, 3 that indicate the order of piecing correctly. A great organized way of putting a quilt together! My go to notion is a good rotary cutter and a seam ripper. some times I think I rip out almost as many stitches as I sew, but I love to sew and especially love quilting. My “go to” favorite notion would have to be my “little purple thang”. It is a tiny purple plastic thing that I use to push out points after sewing. It has all kinds of other uses however. Also, my seam ripper….. my ripper gets lots of mileage. The hardest thing for me to keep track of is my small scissor, so I love my scissor leash. 3 go to, sharp scissors, quality thread and sharp needles. I rotary cutter and seam rippor. Can’t do withoutI chagrd my mind…….OK I’ll settle on those ones! My rotary cutter, it saves me time when I need to remove a seam or cut some fabric. I was going to say seam ripper since I have so many and they have so many uses for little places …..but my real fav is the seam gauge. I have the 6″ rulers everywhere and even have my first one from 7th grade home ec class (a little bent and still has tape on it with my name so no one else in class could claim it as theirs!) it’s 56years old! Think I need the prize??? My new favorite go-to item is the mini rotary cutter that fits on your finger. I do quiet a bit of applique and fussy cuts and it works wonderfully for these items. Thanks for the chance to win! My favorite go to items are my rotary cutter and straight pins. I pin everything, to make sure my fabrics stay in place. I love your blog. Thanks for the chance to win. My favorite go to are my comic backer boards for my fabric and my grasshopper scissors. My favorite go to item is my new gingher knife edge thread snippers. My mom had a pair of these when I was little girl and still has them. I bought myself a pair when I started quilting and love them. My initial reply was seam ripper, which makes correcting mistakes less tedious. But if you asked my husband, he’d say it’s my scissors – I am quite fond of quality cutting tools and have a large collection…. and he’s learned that only I get to use my beloved scissors. I’m most greatful for my seam allowance tool. Everything goes faster and more accurately. I love Coats thread. I have used it since I was a little girl learning to sew with my mom and grandma. My go-to tool is my seam ripper with my hem gauge a close second. I have a bunch of them because I hate to lose one. I could not live without my Dritz Fray Check. I use the little pair of thread snips sitting by my machine the most. I love my “PurpleThang”! I use it for stuffing small crafts, poking out corners, and bringing the bobbin thread to the top while free motion quilting. One is always sitting right by my sewing machine. My favorite notion is my binding clips. I use them for everything because I always hurt myself when I use pins. My go to tool is my rotary cutter. 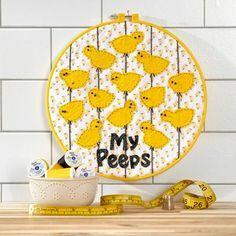 I have been sewing for years and just discovered the wonders of cutting with rulers and a rotary cutter! love my 6″ x 24″ acrylic ruler. I can’t cut a straight line without it! My seam ripper and long stick pins are honestly my ‘go to’… been sewing for years and those are what I use most. My favorite ‘go to’ is my little embroidery scissors for clipping all my threads.